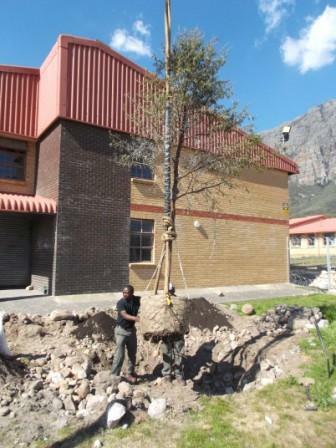 Kylemore High School (via Imbali Western Cape) was given the most fantastic donation of 10 BIG mature Acacia Karoo trees to be planted by crane by Dag Willems of Trees South Africa (value R70,000) whose passionate commitment is growing, caring and expertly locating mature trees. 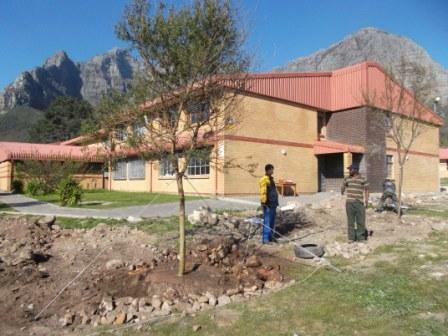 In addition Trees4Schools also gave the school 40 Milkwood and Wild Plum Trees (value R8,000). 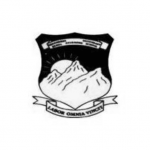 Their vision is to get kids excited about the environment by nurturing budding horticulturists and instilling a sense of ownership and pride in the students. They also teach children to grow their own food, so that the welfare and upkeep of the trees and veggie gardens will be passed on from generation to generation for continued sustainability and environmental awareness. 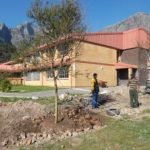 All of this is a true blessing for the school and hugely appreciated as the school really needs expert landscaping as well as shade for the students! 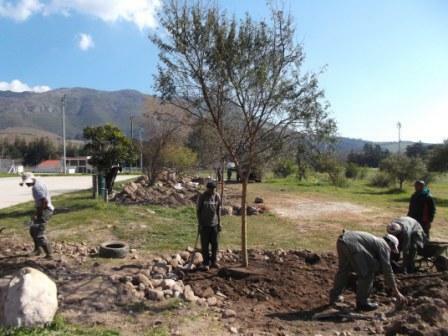 Reliance Compost – who currently supply not only agriculture in the Western Cape but also landscapers, nurseries and gardeners – has also come to the party and donated the 30 x 30L bags of good quality aerobic compost that was required for the planting of the trees. 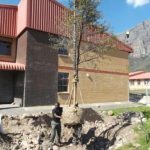 The Kylemore High School put together the TREE PLANTING CEREMONIES as their contribution to Arbour Week to not only thank their sponsors, but also to show that the planting of trees can be one of the best green things one can do in the community. When you consider what trees do for the environment, they’re pretty amazing. They provide food and homes for squirrels and birds, shade for the students and oxygen for the atmosphere — not to mention the fact that trees get rid of carbon dioxide (a major greenhouse gas) in the process of releasing oxygen. 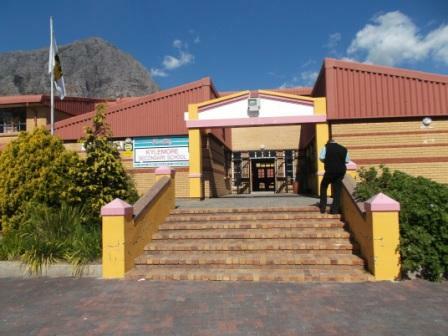 The students at both the High School as well as the P.C. Primary School, who are members of the Kylemore Gardening Club, are getting involved with the nuts and bolts of planting trees, including digging holes, planting, watering, and mulching. 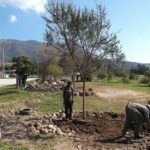 They also organize and help with other projects, such as weeding and management of the organic vegetable gardens at the schools, learning and educating others about proper gardening techniques and food growing. 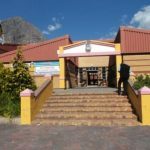 We are proud to announce and share our donor’s commitment with you and would love to have you visit the school and familiarize yourself with all that Imbali has put into place for the students attending this school!